Each level of instruction is designed to be completed in one semester and consists of courses in four core skill areas as well as content-based courses that have been designed to meet student needs. Students at each level of instruction (except for Advanced Plus) are required to take courses in Speaking & Listening, Reading, Writing, and Grammar, as well as two to three content courses. Content-based courses include, for example, courses in American Culture, Conversation, and Pronunciation. Students at the Advanced Plus level take six courses designed to introduce them to academic work in American universities, including English for Academic Purposes, English in the Sciences, Business English, and Literature Written in English. All courses incorporate modern technologies that assist in language learning, and students have opportunities to work in a dedicated computer lab for ESL students. A student must successfully complete one level in order to advance to the next level. Advancement is accomplished by fulfilling all course requirements (e.g. attendance, active in-class participation, and completion of graded assignments, quizzes, and tests) and by earning a sufficient score on the exit exam(s) at the end of the semester. In order for a course to count towards advancement to the next instructional level, a student must receive a letter grade of C or higher and earn a sufficient score on the exit exam(s). For each course taken, students receive a letter grade determined by the UM standard grading system. Depending on their course schedules, IEP students receive between 12 and 21 hours of UM credit for the successful completion of courses. During orientation, all IEP students will complete a series of assessments that will evaluate their English proficiency in listening, speaking, reading, writing, and grammar. Assessments include an oral interview, a multiple-choice test, and a written essay. Results from these assessments will determine a student’s placement in the most appropriate level of instruction. The IEP currently uses the English Placement Test (EPT) as its primary assessment tool for placement. Through the IEP Bridge Program, students may fulfill the English language proficiency requirement for admission to The University of Mississippi by completing 12 hours of Advanced Plus IEP coursework with a B average (3.00 semester GPA). The program is designed to be completed in one semester or two consecutive 4-week summer sessions. Advanced Plus coursework consists of four required courses. Introduction to communicative practices in American universities for international students, faculty, and visiting scholars. English communicative practices in the sciences and social sciences. English communicative practices for international business. Topics vary. Focus on English academic literacy through the study of literature from the English-speaking world. Topics vary. Focus on communicative practices, vocabulary, grammar, and pronunciation. Topics vary. Focus on academic literacy, cross-cultural awareness and global citizenship. 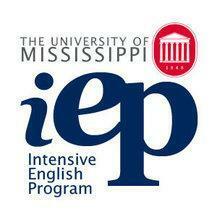 To document a student’s successful participation in the IEP Bridge Program, the IEP will issue a letter verifying that a student’s transcript correctly reports the student’s grades and confirming that the student has met the English language proficiency requirement for admission to the University of Mississippi. Successful completion of the IEP Bridge Program thus replaces the need to present TOEFL, IELTS, or PTE scores to the University when applying to an academic program. The Intensive English Program (IEP) offers 4-week summer programs of intensive English language instruction. The number and level of courses taught will depend on student placement tests. Each 4-week program consists of content-based, integrated-skills courses that have been designed to meet student needs. Students at each level of instruction (except for Advanced Plus) are required to take two courses: Topics in ESL and Topics in Intercultural Communication. All courses incorporate modern technologies that assist in language learning, and students have opportunities to work in a dedicated computer lab for ESL students. Students who successfully complete two consecutive 4-week programs at one level may advance to the next level of instruction the following semester. Students who successfully complete two consecutive 4-week sessions in the Bridge Program at the Advanced Plus level may matriculate into the University. Advancement is accomplished by fulfilling all course requirements (e.g. attendance, active in-class participation, and completion of graded assignments, quizzes, and tests) and by earning a sufficient score on the exit exam(s) at the end of each session. In order for a course to count towards advancement to the next instructional level, a student must receive a letter grade of C or higher and earn a sufficient score on the exit exam(s). For each 4-week session, IEP students receive 6 hours of UM credit for the successful completion of courses. IEP students may also participate in non-credit or short-term & customized programs.